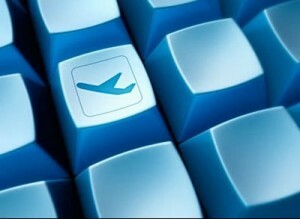 Flight bookings can be done within a single day. MilesAway has expert flight specialists. Booking air travel often requires specialist knowledge in order to get good deals and ensure that the traveller has a great time. South Africa is a popular flight destination for travellers to all parts of the African continent, and is often chosen as a lay-over for travellers to other parts of the Southern Hemisphere. Since the county has opened up its borders to travellers with the end of Apartheid, the number of visitors to South Africa has boomed. Whether you want to book an exotic and yet comfortable holiday, or are looking for somewhere to stay overnight while you travel to another location in the Southern Hemisphere, a flight to South Africa can be the ideal start to your vacation. MilesAway can help to book your flights to and around South Africa from any place around the world, including triangular and circular tickets, round the world fares as well as numerous air passes in India, South and North America, Europe, the Middle East and other countries in the Southern Hemisphere such as Australia. Our experience allows you to get great deals from major names in international travel, and we can provide our customers with amazing deals. No matter where you live in the world, our company can get you amazing benefits and provide you with a number of deals for your company. When it comes to booking flights into South Africa, or between major cities in the country, it can sometimes be difficult to get a good deal on a flight. Just by employing a local outsource travel agent can mean that you get access to flight deals that are not available to those outside the industry. Miles Away can connect you to any of these flights at a reasonable cost, regardless of whether you want premium economy, first class or business class tickets, and we are also able to offer special deals to our travellers when we book certain flights. Whether you travel locally or internationally, for personal or professional reasons, MilesAway expert team can provide you with great options that will add value to your travel plans. Speak to us today to find out how we can help you.